RSD 2019 release. 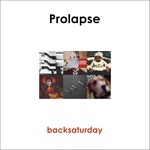 Glass Modern present a reissue of the Prolapse's second album Backsaturday, originally released in 1995. Backsaturday saw them experimenting with both repetitive grooves and ambient soundscapes, krautrock, and kitchen sink drama. They feature dueling vocalists Mick Derrick and Linda Steelyard, who play out an intense soap opera over a ferocious triple guitar assault and pummeling rhythm section. The classic 15-minute track "Flex", has been remixed by current bass player and former Julian Cope associate, Donald Ross Skinner. 180 gram vinyl; Duck egg blue vinyl. RSD 2019 release. Glass Modern present a reissue of the debut solo LP from 2006, by Vaselines founding member Frances McKee, originally only released in Japan on CD in 2004. Following a post-Vaselines break, she began making music with Vaselines bass player James Seenan, writing material of a more-mellow flavor. These songs were released under the name Suckle, initially coming out on 4AD offshoot Detox Artefacts. The Vaselines of course reformed in 2008, tour regularly and have released two albums on Sub Pop. Frances features in the 2017 documentary Teenage Superstars. 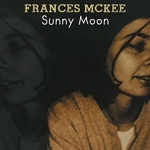 All songs by Frances McKee except by "You Know Who I Am" by Leonard Cohen. Remastered. 180 gram vinyl; blue vinyl. Dissident is Richard Youngs's strong follow up to 2018's Belief and Endless Futures (REDUX 015LP, 2018). Youngs is also a member of Amor. 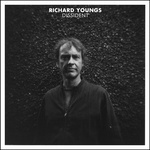 Youngs on the recording: "Dissident is a hallucination of a legendary lost Samizdat-style recording of the legendary lost Richard Youngs Band. It's not clear to me that it is against anything in particular, and as such it is not literally dissident. In fact, I'm a little lost how or why it is dissident, save for being informed by the imagined provisional recordings of pre-Glasnost protest. Perhaps the wordless scratch vocals are voicing dissent, but I remember having fun. So much so, I couldn't stop myself from fleshing out the rough nylon guitar songs to a full band arrangement, recorded in multiple spaces." 180 gram vinyl. 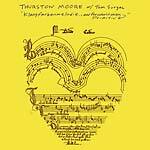 Glass Modern present the first vinyl issue of Thurston Moore and Tom Surgal's Klangfarbenmelodie.. And The Colorist Strikes Primitiv. Originally released on CD in 1995 only in New Zealand by the Dead C's Bruce Russell on his Corpus Hermeticum label. Edited by Bruce Russell for this Glass Modern release. New liner notes by Bruce Russell. 180 gram, white vinyl. A collaboration by David J (Bauhaus, Love & Rockets) and Detroit's psych prog garage rock n' rollers Duende. CD version comes in a six-panel card sleeve. "This is dark psych, crow winged, pulp rock at its finest" --Damien Youth. David J on the collaboration: "This exciting collaboration with Detroit's stalwart psych garage band, Duende came about when they approached me to work with them on a couple of new tracks for a forthcoming EP. These turned out extremely well and when I played them to my pal, genius songwriter/hermetic music guru, Damien Youth, whose opinion I rate most highly, he enthusiastically insisted that we develop the project into a full-blown album. This we did. Recorded and mixed in one week at Tempermill Studio in Ferndale, MI, I regard it as one of the most vital sounding and inspired recordings of my career. We also pulled in some additional stellar local talent in Warren DeFever (His Name Is Alive) and also Joshua James (Theatre Bizarre Orchestra) to add yet more tasty ingredients to the swampy spiked mojo soup." LP version. 180 gram vinyl; Gatefold sleeve. 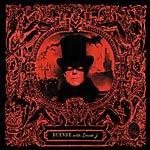 A collaboration by David J (Bauhaus, Love & Rockets) and Detroit's psych prog garage rock n' rollers Duende. CD version comes in a six-panel card sleeve. "This is dark psych, crow winged, pulp rock at its finest" --Damien Youth. Glass Modern present a reissue of In The Presence Of Greatness, the debut Velvet Crush LP from 1991, originally released on Creation Records. In The Presence Of Greatness was recorded and mixed on eight tracks by Matthew Sweet in his basement in Princeton, New Jersey 1990-91. Repackaged in a new sleeve with photographs from the original session by Michael Lavine. 180 gram pressing on turquoise vinyl. "In the Presence of Greatness sounds like Big Star's #1 Record updated for a new decade. The general air of mildly anguished wistfulness is the same, as are the jangly guitars and high harmonies, but Velvet Crush plays with a post-punk sprightliness and a less overtly British Invasion-inspired melodic sense." --Stewart Mason, AllMusic. Vinyl reissue, originally released on Glass Records in 1985. Remastered, plus inner bag with all the lyrics. 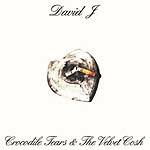 Between the end of Bauhaus and the beginning of Love & Rockets, David J recorded five singles, and one LP for Glass Records, and played on two albums by The Jazz Butcher. This LP was and remains one of the crowning glories of the original Glass label, and has now returned to its newest incarnation Glass Modern. 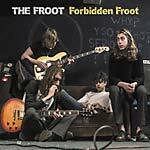 Forbidden Fruit is the extraordinarily mature debut album by four 18-years-old, all original psychedelic/progressive/power pop vibe rockers from Hull, The Froot. They're already transcending their influences. The band that everybody loves -- they just don't know it yet. The recording was partly funded by The Mick Ronson Legacy Trust, run by Lisa Ronson, Mick's daughter, that supports local musicians. Mick, as you know was one of Hull's most famous sons. Produced and mastered by Colin Lloyd-Tucker (The The, Deux Filles). Engineered by Kenny Jones (The Smiths, Oasis). Personnel: Louie Donoghue - guitar, vocals; Stevie Newby - bass, vocals; Zach Penrose - guitar, vocals; Jack Newton - drums. 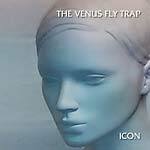 Icon from The Venus Fly Trap follows on from Nemesis which came out in 2008 and a limited red vinyl best of Metamorphosis in 2016. Is there life on Mars? Venus and Mars... Men are from.... Mythology has been part of VFT's psyche alongside space and science fiction. Screen idols and goddesses, the celluloid pantheon... immortality guaranteed... Music created for imaginary films for your mind. Legend, iconic, over-used, TV celebrities, famous for being famous... Film noir via Tarantino-female heroines with edge... "Vitesse" built for speed, streamlined structure, fast and furious... propulsion, eyeliner eyes... like a beam of headlights. Personnel: Alex Novak - vocals; Andrew Denton - guitar/programming.